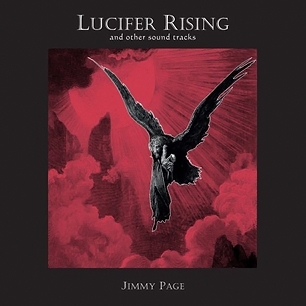 Unfortunately I was not one of the chosen 325 in the pre-registration process to obtain one of the deluxe editions of Lucifer Rising and Other Soundtracks. (Gary did come good though!) I ordered the standard one just now -the preview clips reveal plenty of the old Jimmy Page sonic architect traits at play. In my view these are far beyond electric doodling’s and represent an artist returning to a previously unfinished picture. Damask (Ambient) has some 1977 guitar solo like effects (you were right Tim D!) while Unharmonics features some Over The Hills type picking and that clipped Shadow In the City Death Wish 2 sound. Let us know what you think. Steve Goldsmith I 100% completely agree with your comments – in fact I doubt whether Mr Page actually knows what’s going on with the website. Not that I think its format is bad (I love the “on this day feature”), but I think there are people cashing in on his name. Why produce a small amount of high value LP’s when you can produce a few thousand for more people – I would hope that’s not Jimmy’s train of thought. Even a few thousand would be collectors items, but would give honest fans a chance. i’d rather these items were released in one standard format. for a collector it is frustrating that such small numbers of ‘deluxe’ editions and ‘signed’ items are made available, with no chance of obtaining them. similarly, it would be better if the LZ 02 show had never occurred. The kind of people who should have gone can be seen in record collectors fairs, and others who had followed them in the glory days. Instead, one available show becomes a media event with celebrity chefs, tv presenters and supermodels getting the seats. it wasn’t even led zeppelin, the drummer never came back to life. this is supply and demand in a cruel and annoying way. Why not in recods stores ? I was one of the lucky ones chosen for a signed edition and I cant wait! Yes Jimmy’s comments regarding Death Wish and having most of the music already recorded start to make more sense when you hear the previews.Indeed some of this ended up on Death Wish. Totally agree with your comment regarding they’ve GOT TO be listened to Dave! I’ve also just ordered the standard and hope the differences in artwork are slight. I wondered about waiting to see if any Deluxes remained untaken on Thursday but thought that would be unlikely! Even more annoying, I’ve heard of two people who scored the signed version! At £195 I’m guessing the take up for that was not as great as for the deluxe. Hopefully this is a sign of the door to the vaults being pushed ajar…fingers x’d!